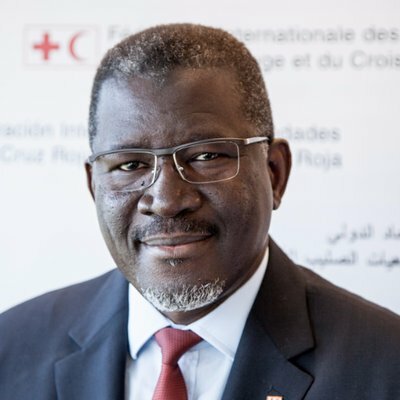 El Hadji Amadou Gueye Sy Secretary General of International Federation of Red Cross and Red Crescent Societies (IFRC) will arrive in Dhaka tomorrow, on Wednesday at 4:45 am. Same day on the way to Cox’s bazar he will leave Hazrat Shahjalal International Airport at 9:30 am. He will recive by Prof. Dr. Md. Habibe Millat, MP Honorable Vice Chairman of Bangladesh Red Crescent Society, Secretary-General of Bangladesh Red Crescent Society BMM Mozharul Haque, ndc, Mr. Azmat Ulla HoCO of IFRC, Bangladesh in the Hazrat Shahjalal International Airport. The Secretary-General of the International Federation of Red Cross and Red Crescent Societies (IFRC) will hold a meeting with BDRCS officials and volunteers at cox’s bazar Red Crescent Unit Office on October 25. Then he will visit Makeshift Camp at 01:55 in the Hakimpara of cox’s bazar. At this time, Honorable Chairman of Bangladesh Red Crescent Society Mr. Hafiz Ahmed Mazumdar, Vice Chairman Prof. Dr. Md Habib Millat, MP, Treasurer Advocate Touhidur Rahman, Secretary General BMM Mozharul Haque, ndc, representatives of IFC will be present.